Can Certification guarantee a job ? How to pass the certification exam ? To pass the certification exam, you need to have proper knowledge around the subject. Besides, you need to study some practise questions and prepare for the final exam. Before you write the final exam, you need to participate at least few mock test. Mock test will really give you the status of your understanding of questions and subjects. For any kind of certification exam, you need to get at leaset 80% mark in the practise exam and then you can decide where you are sitting, how much study you have to do and so on. Good preparation and higher marks in the practise test will ensure higher chance to pass the final exam. You going to learn the technology by participating training, practise exam, final exam, reading the books and certification exam. 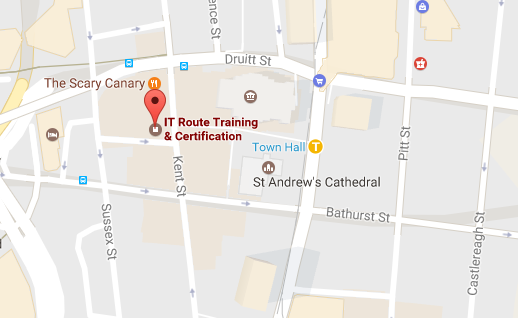 Over the last few year a significant number of IT professional has successfully completed their IT Certification course in ITRoute. The most significant certification was DevOps & Automation, CCNA Routing & Switching, CCNA Security, CCNP Routing & Switching, MCSA Windows Server 2012 R2, MCSA Office 365. After successful completion, a number of people were able to get a new job with a competitive salary. As we are moving forward, so does technology. To co-up with new technology trends, we are keep updating our routing, switching and server infrastructure to have a fantastic lab experience for our client. Keep updating yourself by following the right certification path that will result you a great career path. Why IT Certification is Important ? Technology is changing every day and top vendors such as Microsoft, Cisco, VMware, Citrix releasing new hardware and software components with advanced feature or security updates. What you study in the Uni or working at the moment that might not the latest software. To gain more knowledge or become expert about those new technology you need to learn by yourself, from online or Google some more info any way you like. If you are capable of gaining of that knowledge that’s excellent. You can apply those expertise to become certify, or apply your company or apply for new job, you can upgrade your salary. But if you failed to do so as you are busy working or you don’t have proper infrastructure you will lose interest after a certain period of time struggling to learn new things. As an IT training institution we have all the latest software and hardware material for training. Once you become part of IT Route you will be able to access our Lab and training materials anytime. We can train you for your career, salary increase, job searching and ongoing support. Once you finish the course and achieve the certifications you actually finished your first step to upgrade yourself. Once you certify in a certain area you will have 85% better chance to get a job than others. We advise you to invest for your careers not to spend. Once you decide about your training or ready to upgrade yourself contact with us and see how we can help you. Our main aim is to provide high quality IT training and develop skilled people. We direct the right path for our students and the right investment for their career. © 2017 ITRoute Communications Pty Ltd. All rights reserved. IT Route Sydney office is located on the west side of the Town hall train station which is Darling Harbour side at 491 kent street in between Bathurst street and Druitt street. it is a 5 minutes walk form Town Hall Train station.